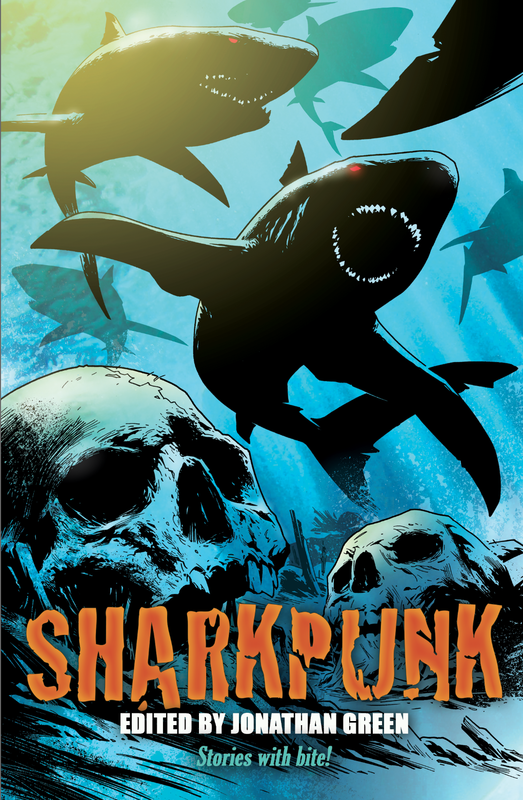 Edited by Jonathan Green of Fighting Fantasy fame, Sharkpunk is a collection of unashamedly pulp page-turners by some of the best writers in the business. The one thing they all have in common? Sharks, and lots of them! For this inventive anthology, I contributed an original short story entitled Sharkcop 2: Feeding Frenzy. It appeared alongside tales by Kit Cox, Den Patrick, Jonathan Oliver, Gary McMahon, Andrew Lane, Toby Frost, Ian Whates, Al Ewing & Sarah Peploe, David Tallerman, Steven Savile, Josh Reynolds and more. The stories contained within are rip-roaring page-turners and slow-build chillers that celebrate all things savage, pulp and selachian. Covering the whole range of speculative fiction genres, from horror and Steampunk, through to SF and WTF?, these are stories with bite! You can also find out more on my blog. Sharkpunk is out now, available from Amazon UK, Amazon US and in both print and ebook formats direct from the publisher Snowbooks. It's also available (for almost half the price!) on Google Play.